We respect our clients and appreciate their willingness to strive for success. 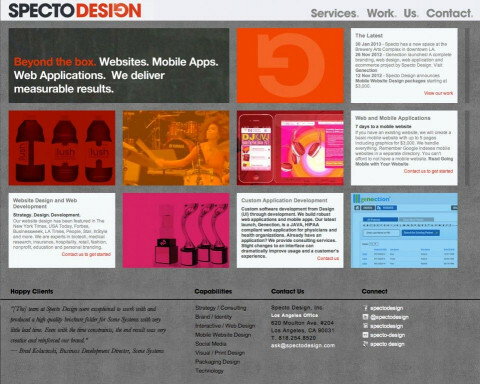 We at Specto Design are specialists when it comes to the medium of design and excel in advising and implementing the best possible solution for you. Our happy clients include high-profile individuals, startups, small to medium sized businesses and Fortune 500 companies.